I'm enjoying the beginning of summer so far. My garden is growing and we've been grilling ust about every day! With Father's Day this weekend, I'm looking for the perfect dinner for the grill. Have you got any ideas to share? This week's feature is Makin' it Mo Betta's Bobby's Pimento Cheese! 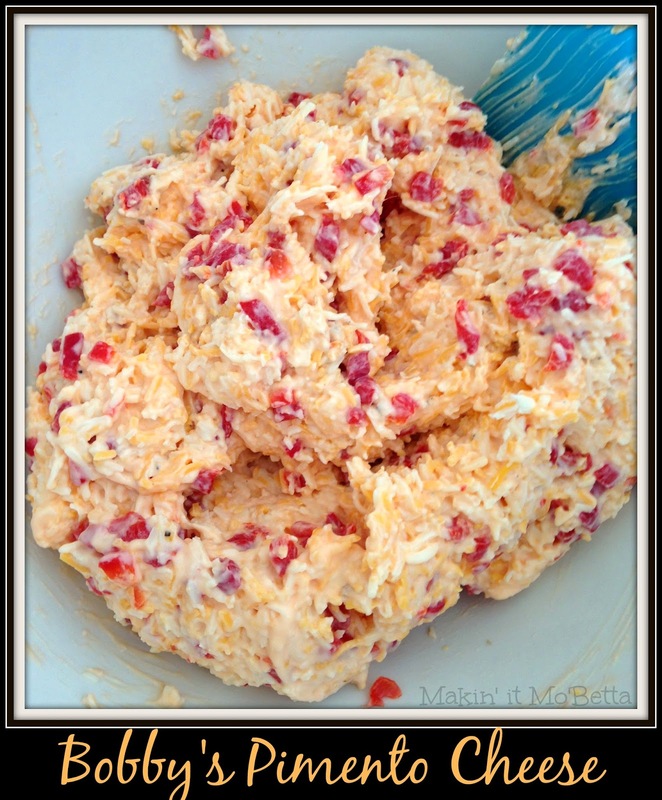 I've been kind of obsessing ofver pimento cheese for some reason lately, and I think this will be the recipe I use to make my very first batch! You need to head over and see their site. Thanks for a great party! I am happy to be here and share and see what everyone else is sharing! Great party this week! Love the bang bang shrimp recipe as well as the chocolate and cherry dump cake.